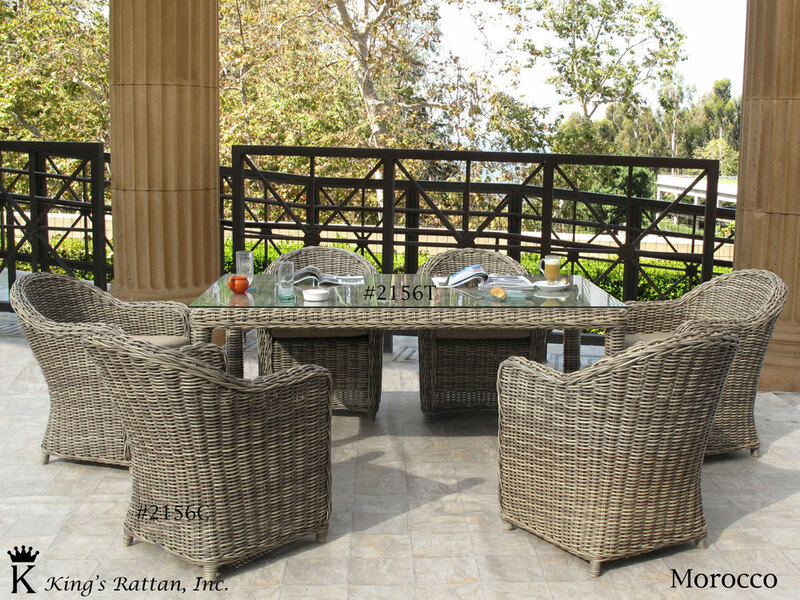 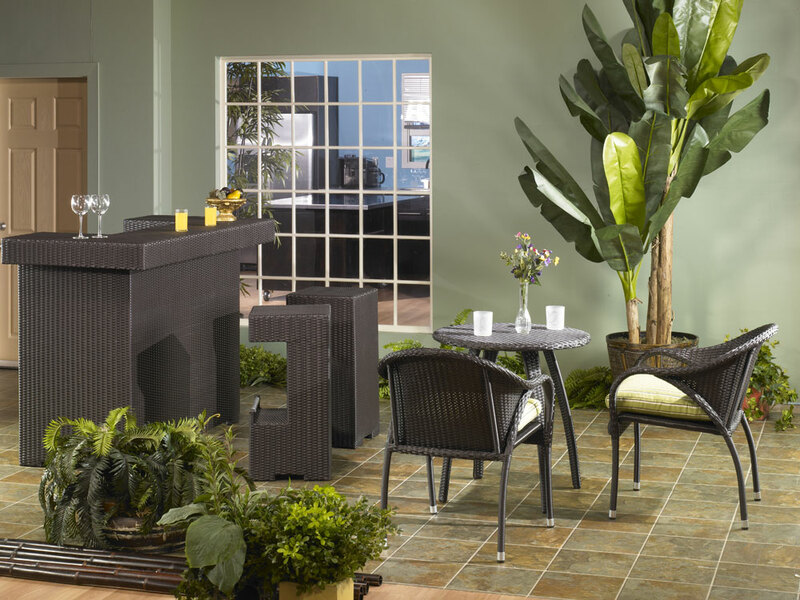 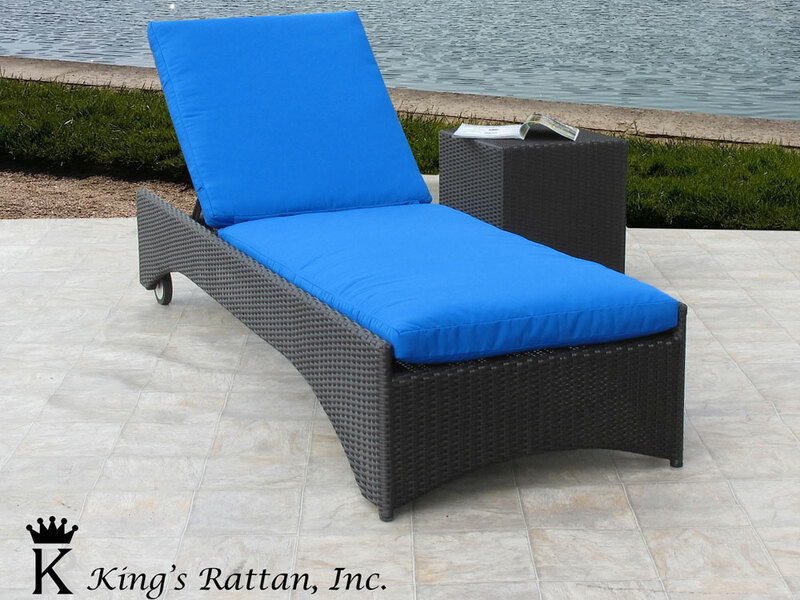 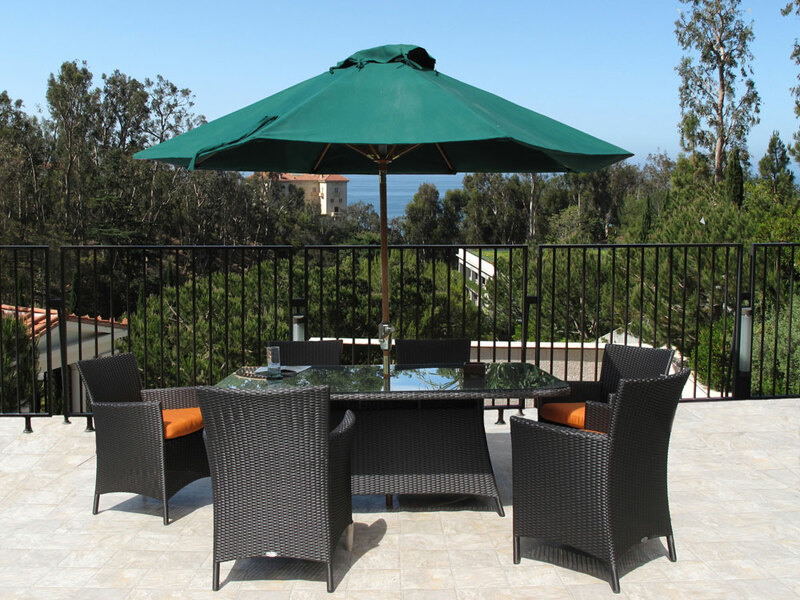 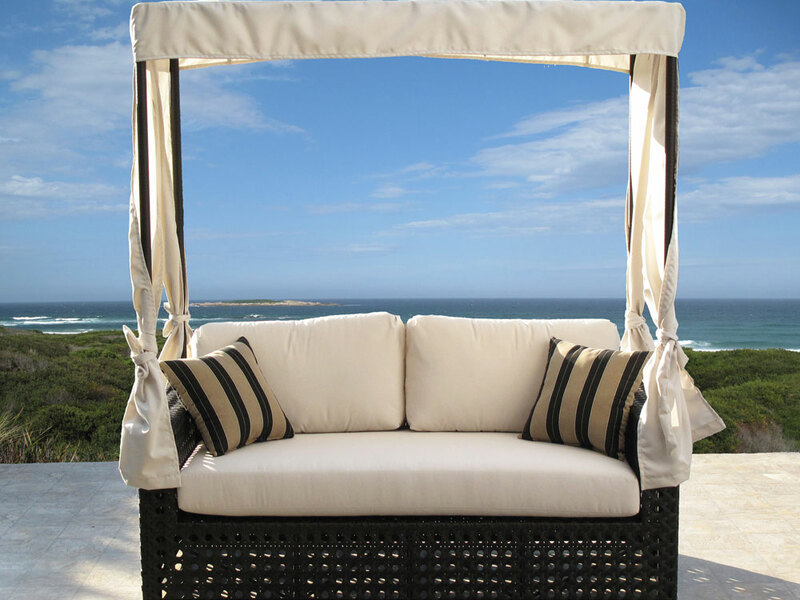 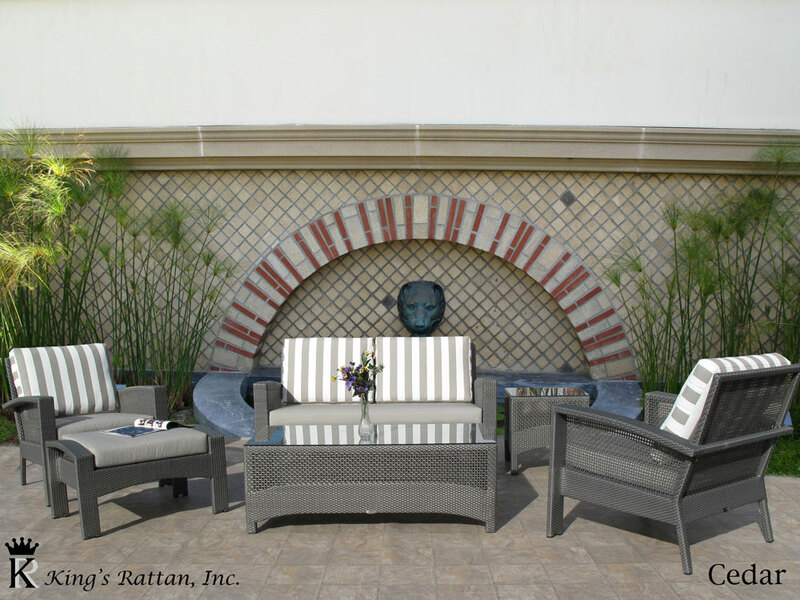 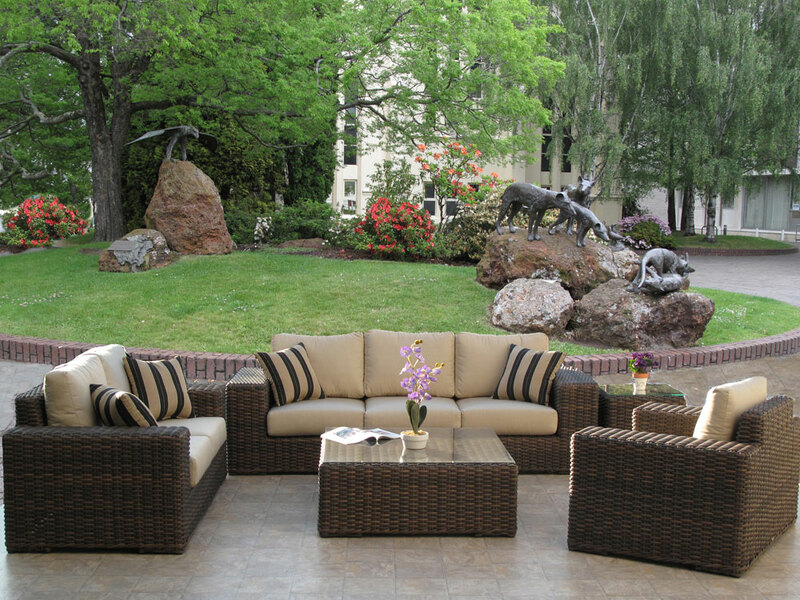 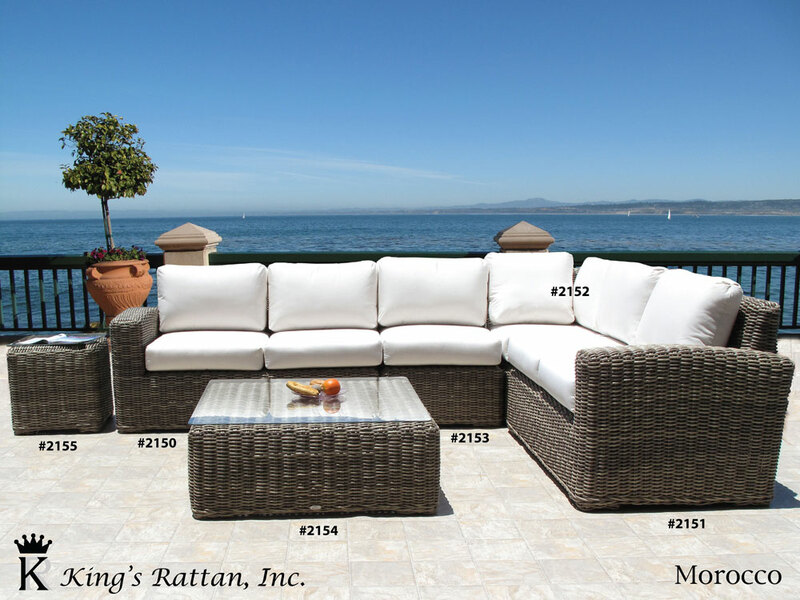 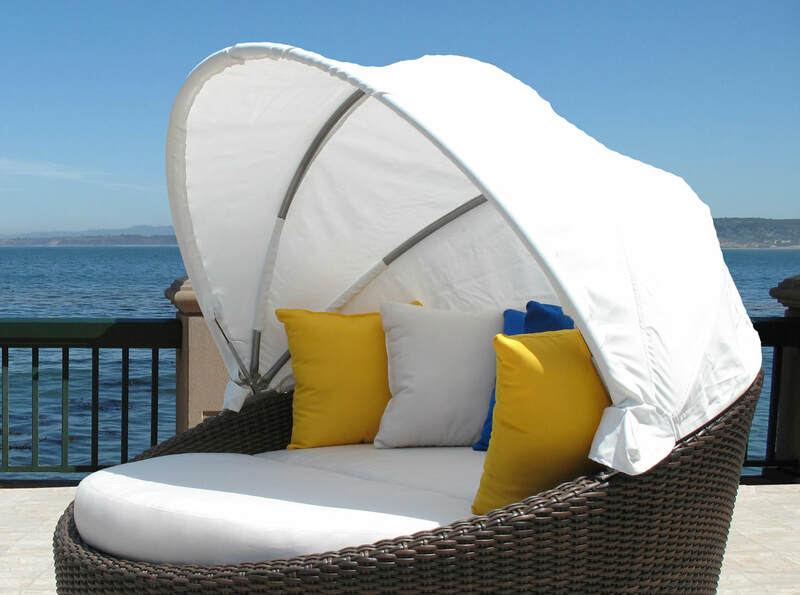 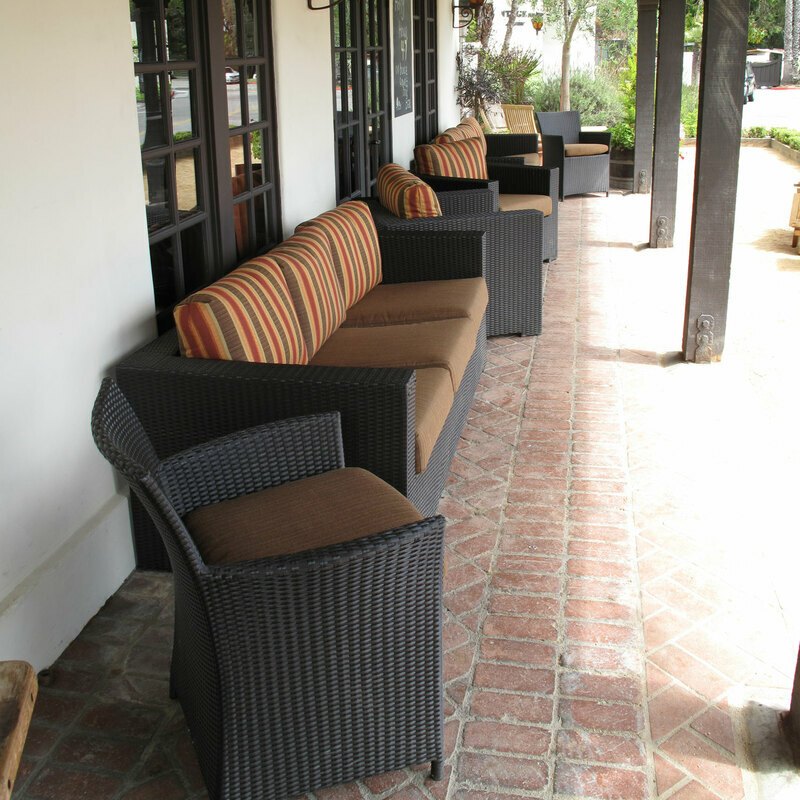 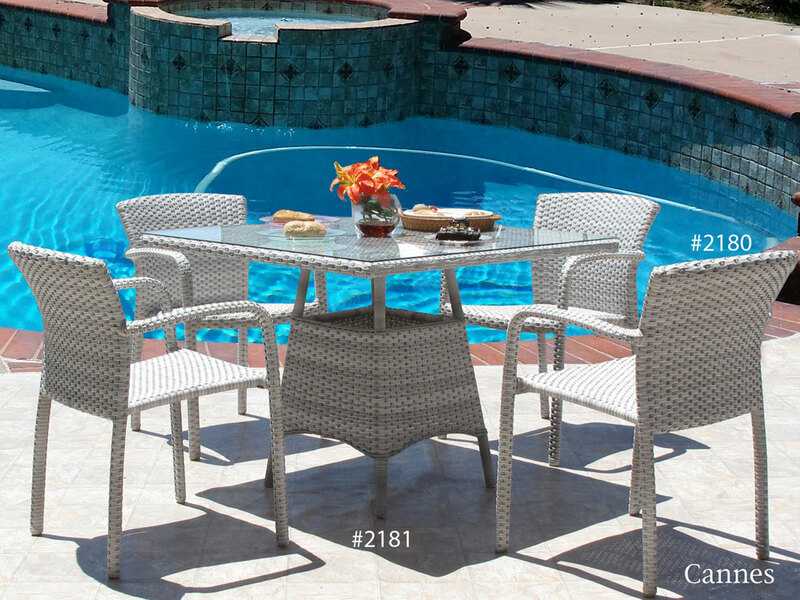 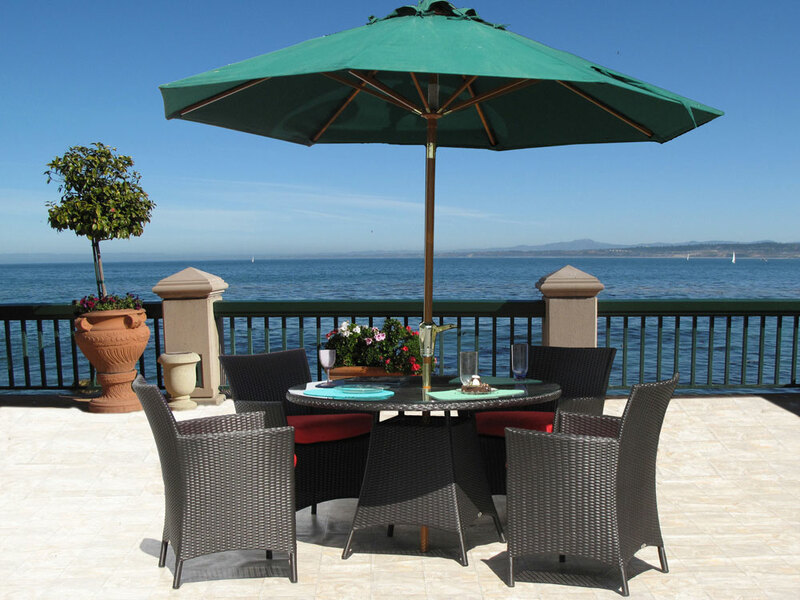 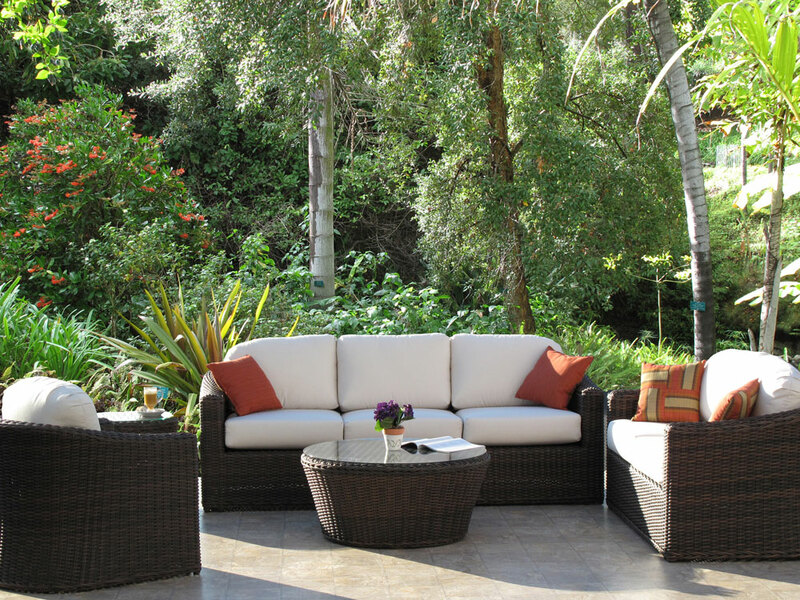 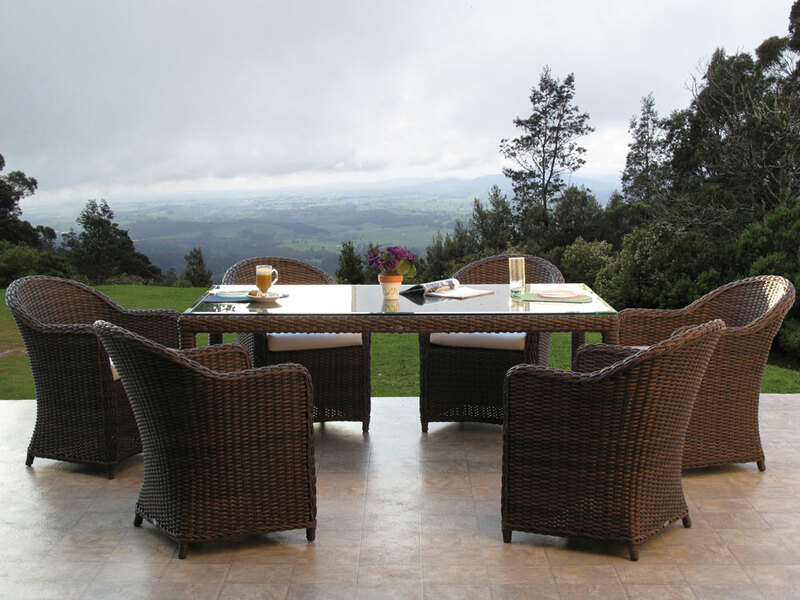 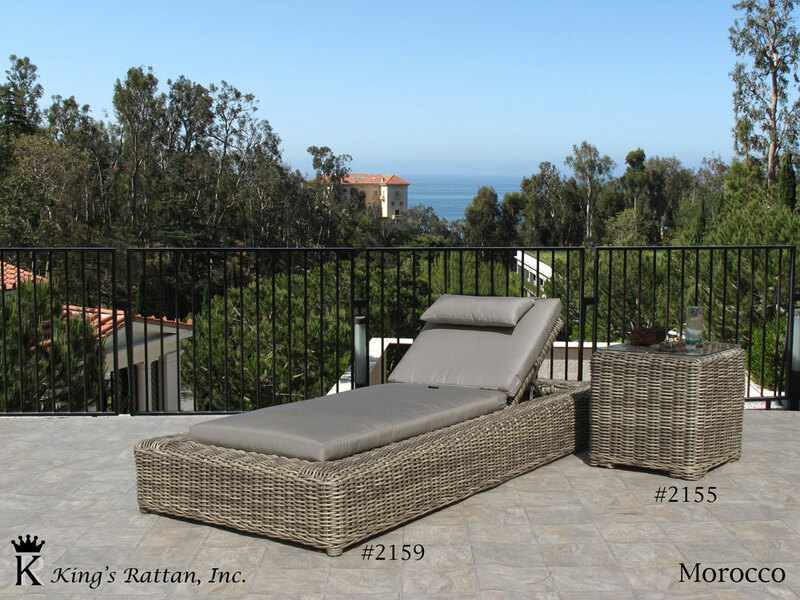 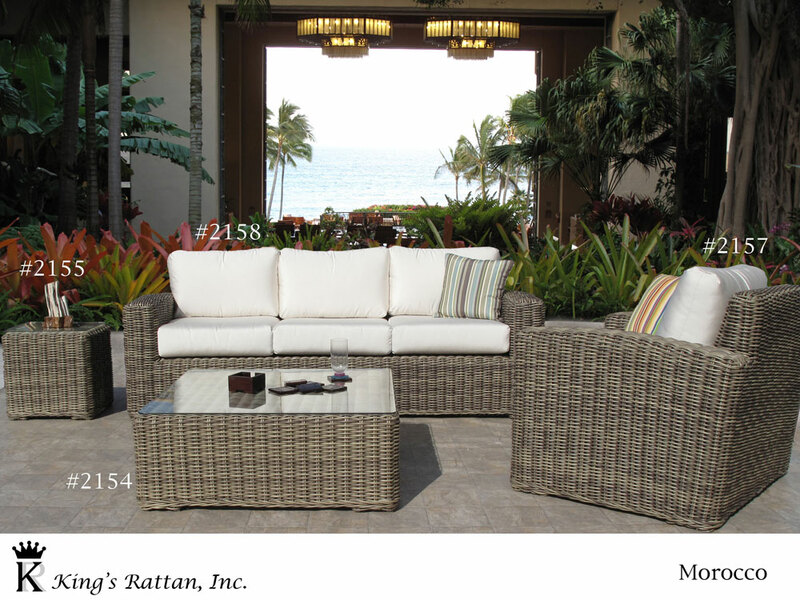 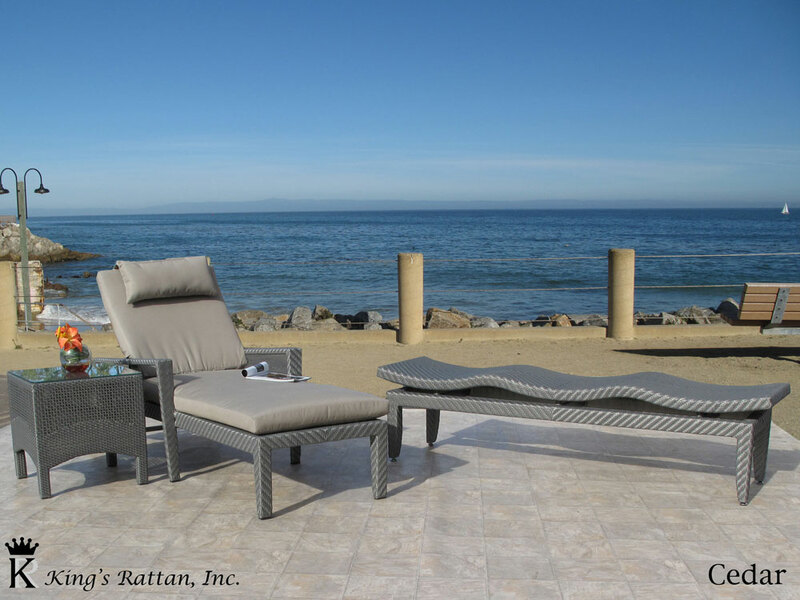 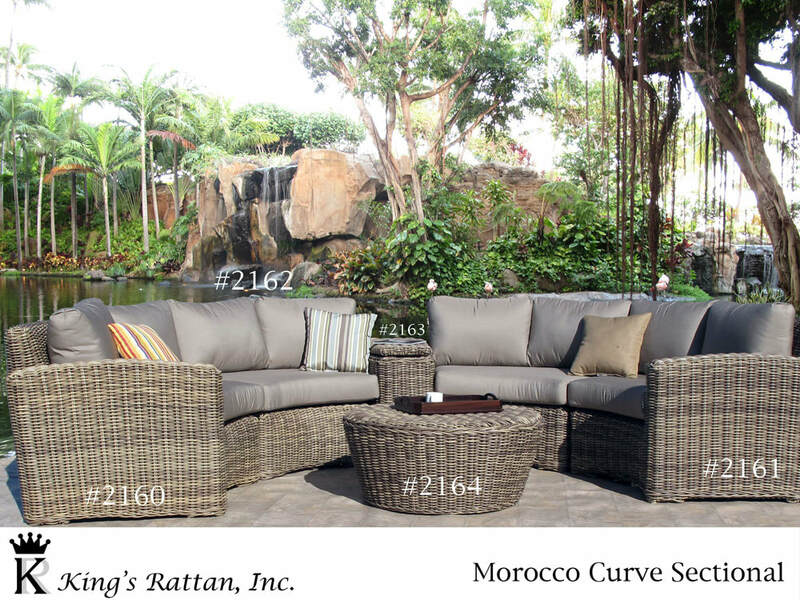 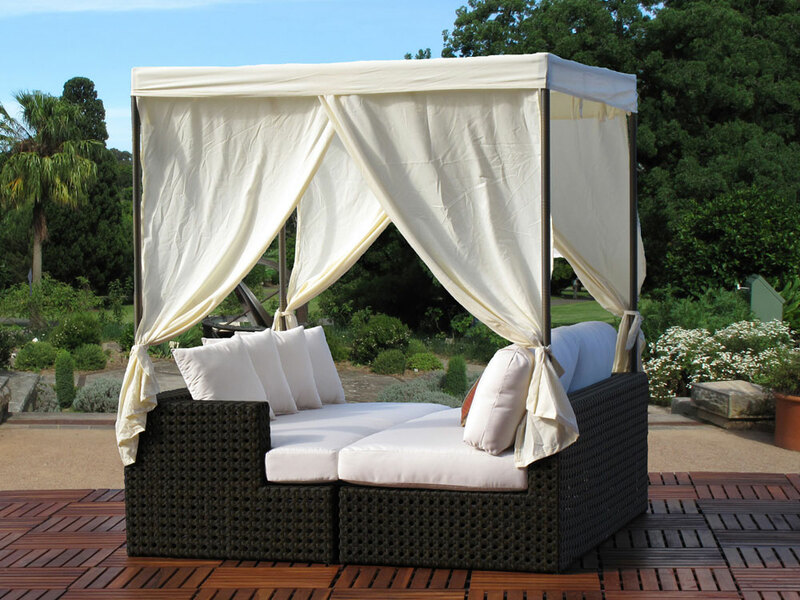 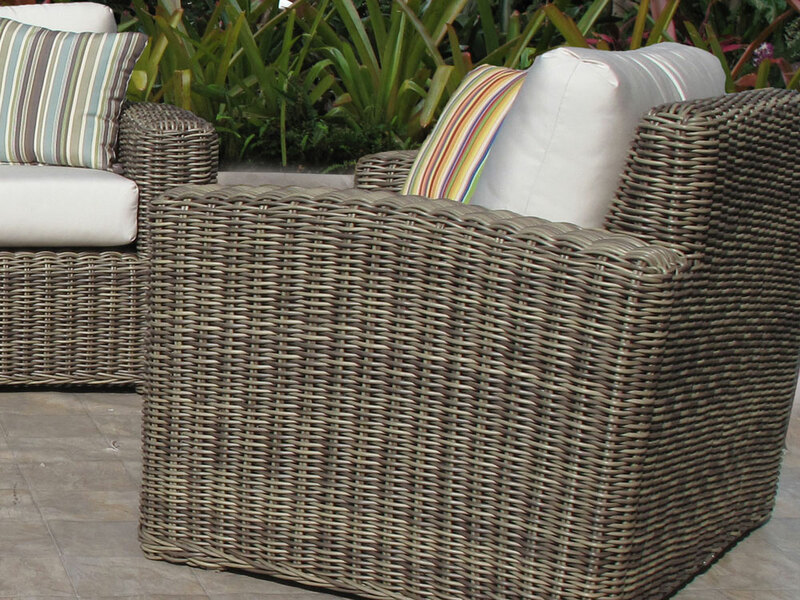 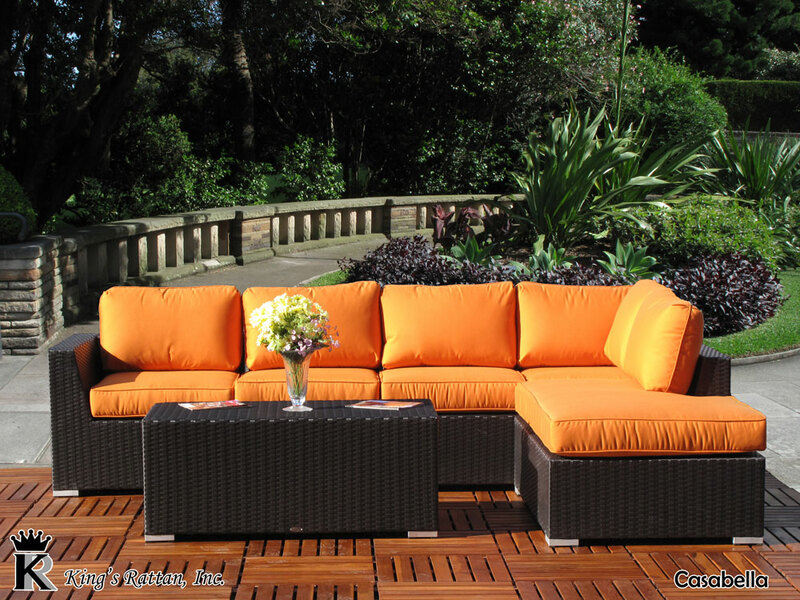 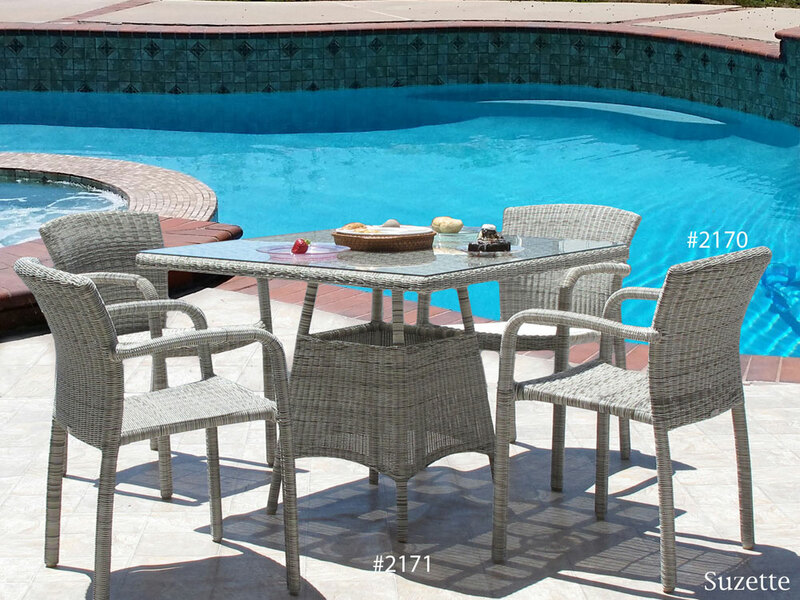 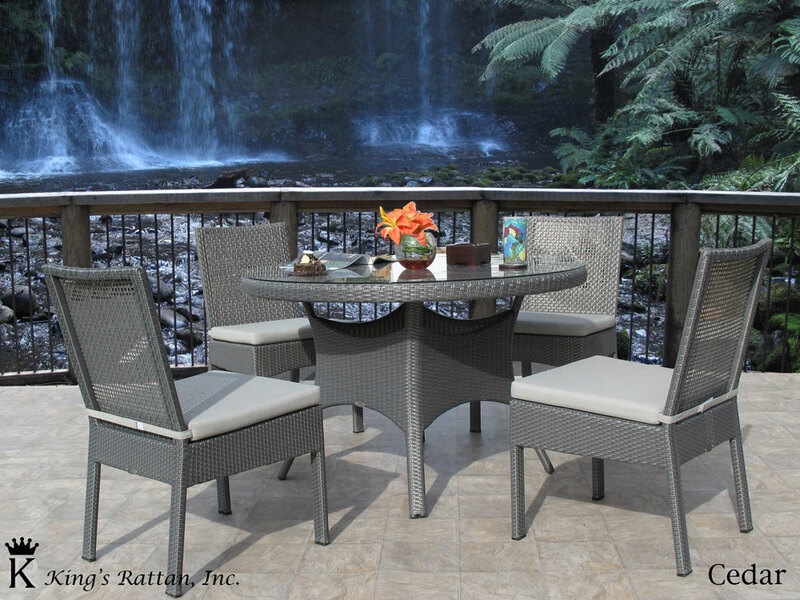 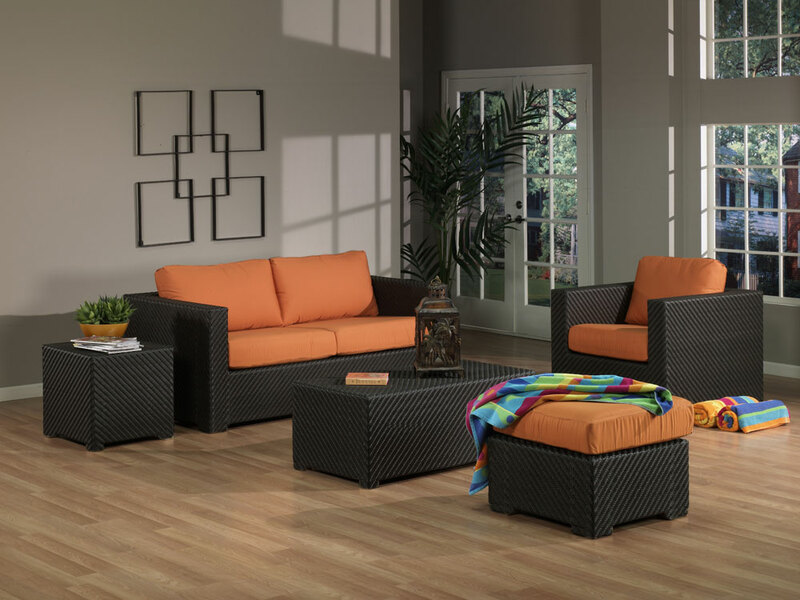 Woven Wicker - King's Rattan, Inc. 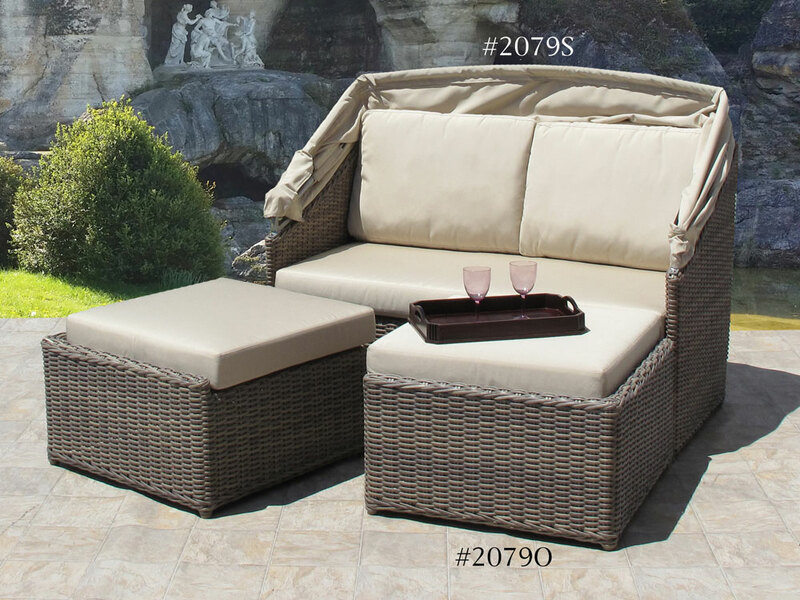 Premium resin material made from France. 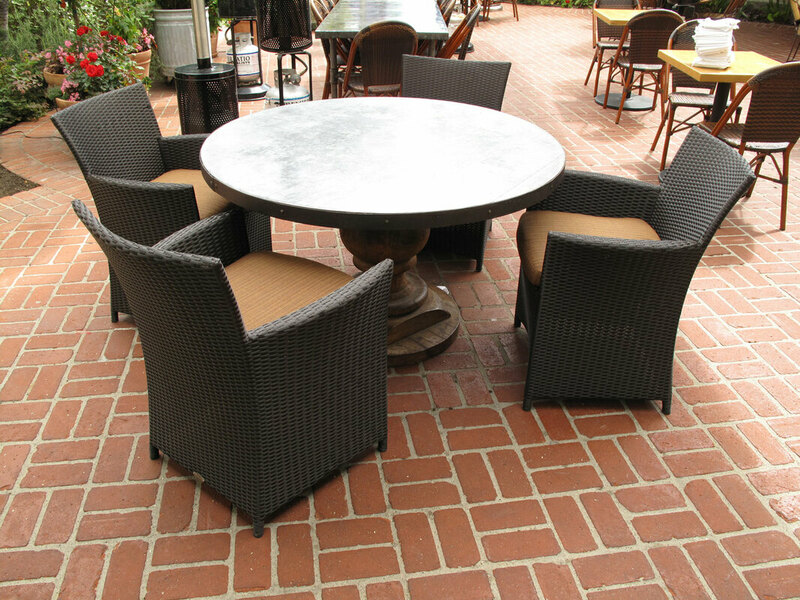 Solid and thick resin core, this makes it stronger for longer lasting. 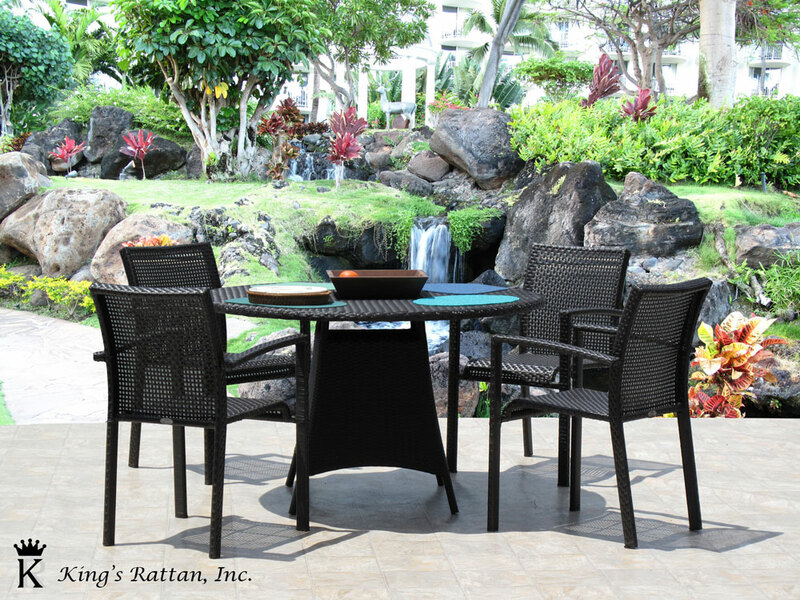 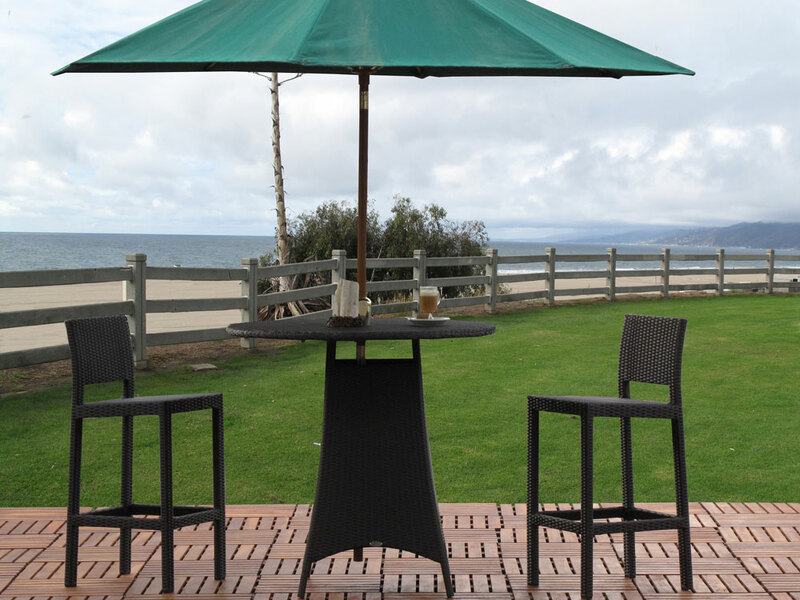 Hardened rust resistant 1.5mm thick aluminum frame. 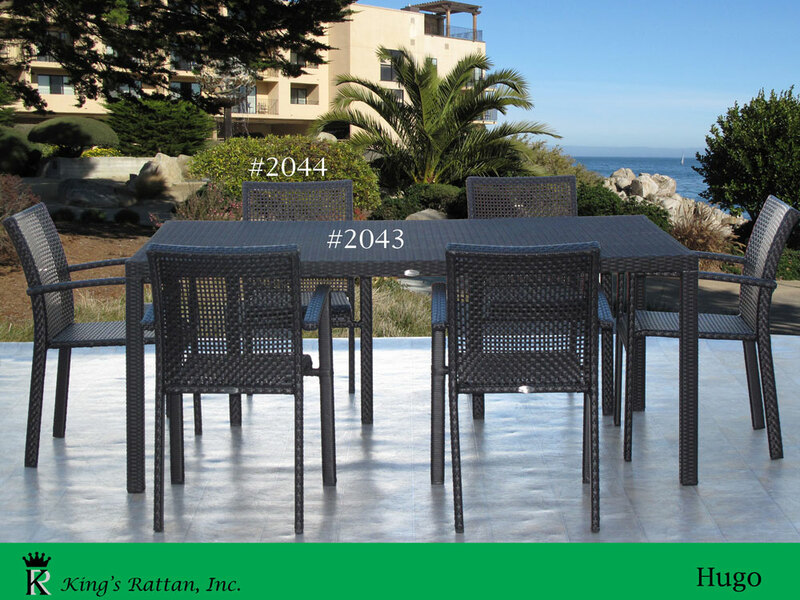 Fully welded powder coated aluminum frame.